Kino Lorber has picked up the rights to Dennis Scholl and Kareem Tabsch's revelatory love letter to a bygone era, which will next play at DOC NYC. 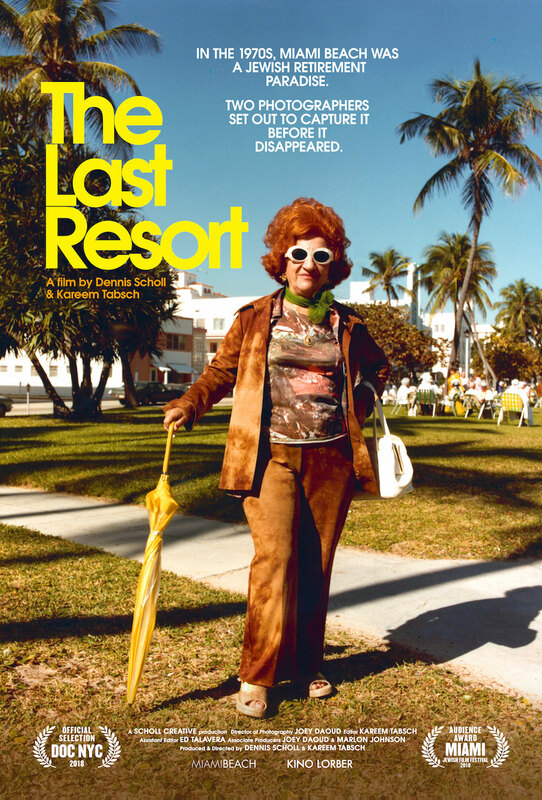 In advance of its New York premiere at next month’s DOC NYC, Kino Lorber has picked up the North American rights to Dennis Scholl and Kareem Tabsch’s “The Last Resort,” a charming look at a Miami Beach that no longer exists, as initially documented by a pair of talented photographers. In the 1970s, Miami Beach was home to a massive cluster of Jewish retirees, the original snowbirds who set out for the warm enclave to escape harsh Northeast winters, only to find a bustling and culturally rich new home. This budding community eventually caught the attention of photographers Andy Sweet and Gary Monroe, who embarked on an ambitious 10-year project to document the retirees in their new paradise. Sweet and Monroe shot thousands of images of the community, with Monroe opting for more stark black and white images, while Sweet favored the kind of candy-colored photos that informed that early Floridian aesthetic. But while Sweet and Monroe were initially drawn to the harmony and happiness of the retiree-centric world, as they continued their work, they were forced to grapple with a changing Miami Beach, one that was no longer a safe haven for the older set. As drugs and crime began to dominate the city, the Miami Beach of yesteryear faded away, though “The Last Resort” makes the case that it should never be forgotten. The film features interviews with Pulitzer prize winner Edna Buchanan, filmmaker Kelly Reichardt (who grew up in the community), Jewish Museum of Florida Executive Director Susan Gladstone, photographer Monroe, plus the family and friends of the photographers. “The Last Resort” had its world premiere earlier this year at the Miami Jewish Film Festival, where it won the Audience Award for Best Documentary Film. The film will have its New York premiere at DOC NYC on November 10. Kino Lorber will open “The Last Resort” on December 21 at the JCC Manhattan and Quad Cinema in NYC before expanding to select cities. Check out IndieWire’s exclusive trailer and poster below.